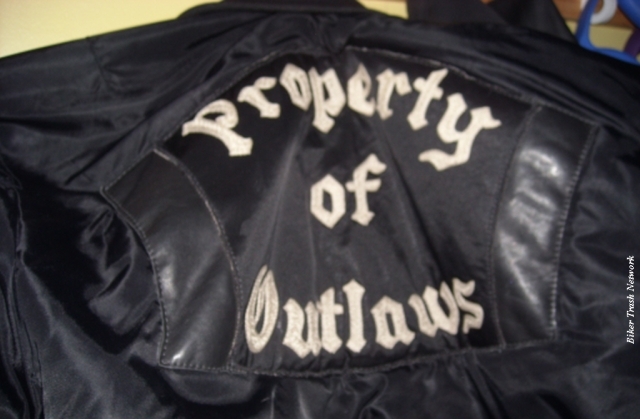 Members of the Outlaws Motorcycle Club might appeal to the Illinois Supreme Court in their lengthy quest to get back their cuts confiscated after a bar fight. The fight was in 2012, when a group of Outlaws wearing their colors got in a brawl with other customers at the Lizard Lounge near Wonder Lake. Three members who were arrested and charged with aggravated battery. "It basically boils down to whether it's an effort worth making," Joel Rabb, an attorney for the Outlaws, tells me. "The patches are exceptionally important to my client. Just because they've been seized doesn't mean the organization ceases to exist." The 2nd District Appellate Court in Elgin sided last week with a McHenry County judge who ruled the vests were used "to facilitate street gang activity" in the bar fight. The appellate panel cited testimony from a McHenry County sheriff's detective who said while their vests didn't directly cause the violence, they contributed to it and enabled the Outlaws members to show dominance by "violent means, if necessary." Rabb calls that a "stretch." The Outlaws' primary concern, Rabb says, is "the setting of precedent that allows for seizure and confiscation of club paraphernalia."